Labonte isn't alone. 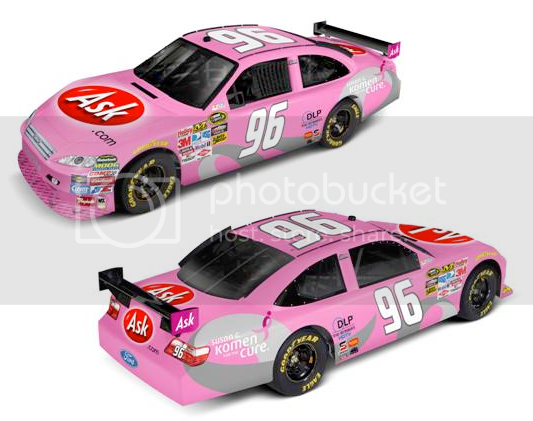 Other drivers with breast cancer awareness paint schemes include Elliott Sadler, Kyle Busch and Bill Elliott. Labonte, who will sport a firesuit and helmet inspired by the pink colors of Susan G. Komen for the Cure, gave thanks to his sponsors.